Leading NGOs focused on global tuna stock sustainability — and convened through the NGO Tuna Forum — have collaboratively developed these best practices for at-sea transshipment to inform and guide tuna regional fishery management organizations (RFMOs), fishery improvement projects (FIPs), fisheries management authorities, Marine Stewardship Council (MSC) certified fisheries with conditions, and commercial processing and harvesting sectors across the supply chain in developing and/or reforming regulations, policies and procedures, and compliance regimes. The NGO Tuna Forum was established in 2017 to bring together NGOs and other individuals and organizations that work comprehensively on tuna sustainability issues globally. The Forum works to elevate “pre-competitive” engagement where possible on issues and opportunities that fall within one or more of the following core focus areas: RFMO Management and Advocacy; Market-Based Mechanisms for Improving Sustainability; and On the Water Research, Activities and Improvements. 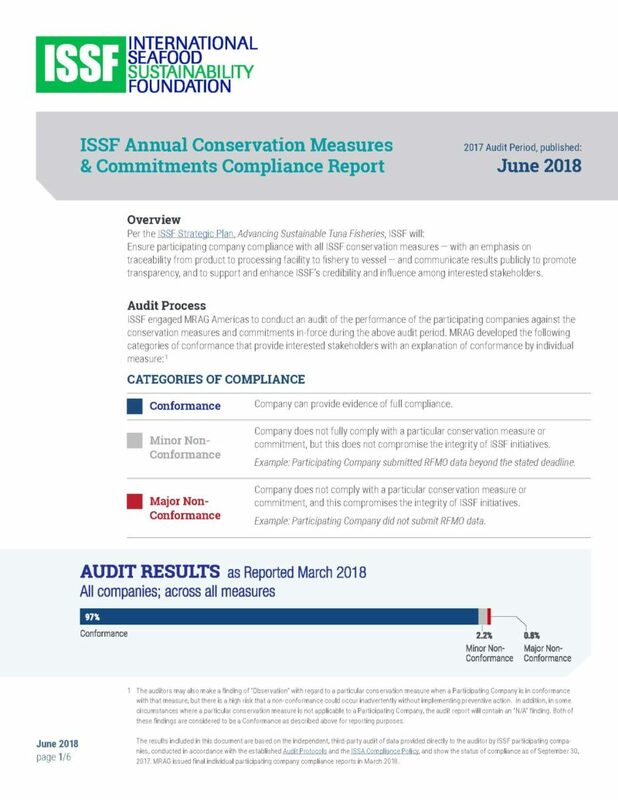 ISSF is a member of the NGO Tuna Forum, as are BirdLife International, Conservation International, FishWise, Monterey Bay Aquarium, The Nature Conservancy, The Pew Charitable Trusts, Sustainable Fisheries Partnership, and WWF. The Forum is not intended to replace or supersede work already being done by individual groups; it seeks to enhance and elevate that work through coordination and collaboration, and to generate greater impact through the power of consistency among NGOs, that in turn improves engagement from the value chain.